More details were revealed at Cooke’s annual NAB Dinner. 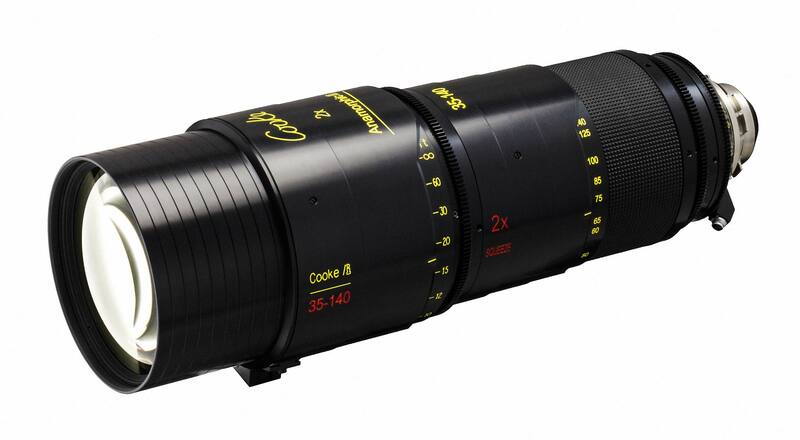 The new Cooke zoom would be 35-140 mm 2x squeeze anamorphic and was expected to be unveiled at NAB 2016. It would be a front anamorphic design, with familiar oval bokehs and familiar Cooke Look to match the rest of the Cooke Anamorphic/i family. And here it is. It will be at NAB, a working model, on a camera — and expected to ship this summer. The Cooke Series of Anamorphic /i lenses continues to grow. 11 models will be on display at Cooke’s NAB Booth C8344, ranging from 25 to 300 mm primes and the new 35-140 zoom. A brief history: Les Zellan announced Cooke anamorphic primes at Cinec 2012 in Munich. The first sets of 5 Anamorphic lenses were delivered in April 2014: 32, 40, 50, 75 and 100 mm. The 25 and 135 mm followed in 2015. The Macro Anamorphic 65 mm was announced at Cine Gear 2015, and deliveries began in November 2015. Anamorphic 180 and 300 mm primes will be shown at NAB 2016–along with the new 35-140 mm T3.1 front anamorphic zoom.